This article describes the selection process to be followed for the batch of 2018-20. After changing the selection criteria last year, IIM Indore has made no changes at all in the process, this year. Let’s understand the selection criteria for each of these stages: Stage 1 – Eligibility Criteria Candidates must meet the following minimum sectional percentile and overall percentile to be considered for admission at IIM Indore. While the overall percentile necessary for general category students are as competitive as IIM A, B and C, they are relaxed for SC, ST and even PwD categories. IIM B is the only college expecting higher scores in VAARC than DLIR and Quant. 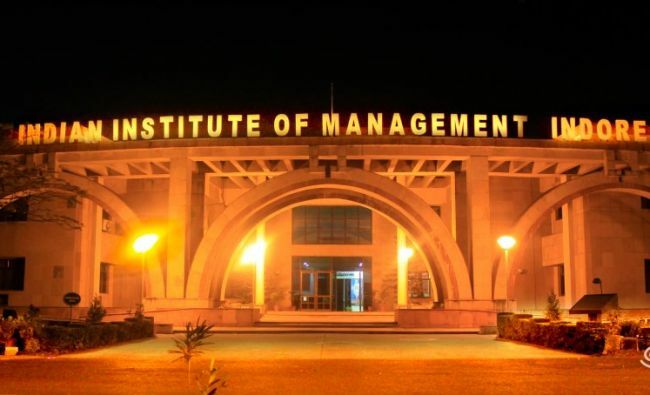 IIM Indore, like IIM A and C, has given equal weightage to the three sections of CAT. However, I should reiterate at this point that it is necessary to qualify for the sectional cut-offs, otherwise, you wouldn’t make the cut even if your overall score is high. For example, Rahul belongs to general category, male. He scores 96%ile overall, but misses out in VAARC by 2%ile. He obviously won’t be considered for the next round. And Anjali, who scored 78% in Class 10 and 86% in Class 12, and secured 94%ile in CAT, along with meeting the minimum requirement for each section in CAT, qualifies for the next step. Stage 2 – Shortlist for WAT and PI Candidates meeting the minimum cut-offs requirement are then considered for WAT and PI. The keyword being considered, and NOT qualified to appear for. A Composite Score is calculated for all the candidates who meet the CAT percentile selection criteria and then for each category, sufficient students will be selected based on their Composite Score. Note: Zcandidate, Zmin, Zmax for 10th Standard/ SSC Score and 12th Standard/ HSC Score are computed using the normalisation process. Observe the drastic difference of the qualification for WAT/ PI rounds at IIM Indore as compared to IIM A, B and C. There is considerably more weightage to Class 10 and 12 marks as compared to CAT score, which is only 20%. Female candidates get 4 marks. This is to promote gender diversity on campus. This is equal to what IIM C awards to female candidates, but more than what IIM B does. Moreover, unlike IIM A and B, there are no marks for past work experience. This is definitely a good news for freshers. For each category, the institute seeks to admit a certain number of students. Accordingly, candidates with the highest composite score for each category are allowed to appear for the next round, which WAT – PI round. Stage 3 – Final Composite Score (FCS) After the WAT and PI, the final composite score (FCS) is calculated, and final offer letters will be rolled out based on the FCS. There is still no consideration for past work-ex, so freshers may continue to rejoice. WAT and PI together make up 60% weightage in the FCS. This reaffirms the fact that WAT and PI can make your IIM dream come true, or shatter it. There is no gender diversity weight in the final selection. Hence, while there is a preference to women to get calls – conversion depends primarily on the profile and the WAT-PI which makes up for a bulk of the weight. Let us know if you have any doubts in the comments. We shall try our best to answer them. You can check out the press release of the selection criteria by the Institute here. Check out How You Can Get An Interview Call from IIM Ahmedabad here. Check out How You Can Get An Interview Call from IIM Calcutta here. Check out How You Can Get An Interview Call from IIM Bangalore here. It doesn’t, according to the guidelines that the Institute has laid down. Hi Dibyajyoti, It will help once you get a shortlist during the interview stage. While shortlisting from CAT applicants to call for interviews there is no provision for evaluating extra-currics at any IIM. Will I get call from iims even if I scored 97+ percentile in cat with my past records 10th-79%,12th-76% and ug-75% and I belong to obc category..